Has the long awaited lumber cycle finally arrived? Speaking at last week’s NAWLA meeting in Vancouver, Russ Taylor (FEA/Wood Markets) says “maybe/probably” due to the interaction of an almost perfect storm of factors. In other Business news: Hakan Ekstrom (Wood Resources Int.) says US softwood demand will peak in 2030; and Paul Whittaker (AFPA) says problems with rail service are hurting Alberta’s lumber industry. In other news: Climate change-induced forest fires are threatening conifers in western US; climate models are predicting large scale changes in rainfall in the Amazon and across Asia; and an outbreak of toxic caterpillars is causing havoc in the UK. Finally, the oak tree planted by French President Emmanuel Macron and Donald Trump is gone – at least temporarily. It was quarantined. Macron and Trump planted tree at the White House. Why it is now missing? WASHINGTON – French President Emmanuel Macron celebrated the special relationship between the United States and France during his state visit to Washington last week by planting a tree with President Donald Trump on the grounds of the White House. Now the oak sapling is gone – at least temporarily. White House photographers noticed the tree was gone days after it had been planted. Mystery ensued. In fact, the tree, from Belleau Wood in France where almost 2,000 American soldiers died in a World War One battle, had been dug up not long after it was planted. It was put in quarantine, according to U.S. and French officials. The problem: Parasites on the tree could spread to others on the White House property. The recent run on lumber prices has put big smiles on the faces of sawmill operators and lumber traders. …While the implementation of U.S. import duties on Canadian lumber was expected to push prices up somewhat, the interaction of several factors — the seasonal impact of summer forest fires in 2017, severe winter weather followed by railcar shortages in 2018, and continued strong demand in export markets — has created an almost perfect storm. …Are we in the “supercycle” we first predicted some 11 years ago? Maybe/probably. …The wild card has been the level of demand and U.S. housing starts: these have recovered much more slowly than almost everyone expected, but are now at a level that reveals the supply gap. …This should translate into windfall earnings in 2018 and 2019, and one issue facing some larger firms will be what to do with the cash generated. Some will likely increase capital expenditures, some will be considering acquisitions, and some will need to resort to buying back their shares. The BC Saw Filers Association drew an impressive crowd of around 160 registrants to Kamloops, B.C., April 26-28 for what is being called the largest convention of its kind in North America. It’s an encouraging sign for the filers who gathered to discuss not only the latest technology for their trade, but the need to attract new talent. For the first time the convention trade show ran two full days, giving 30 vendors filling 60 booths needed time to show off their latest offerings for the filing room. A northern Alberta First Nation is seeking to have the provincial and federal governments ordered to pay its legal costs as it attempts to forge ahead on a lengthy court battle over treaty rights. Beaver Lake Cree Nation first filed a statement of claim against the government in 2008, alleging that the Crown had authorized so much non-Aboriginal usage for development of industries such as oil and gas, agriculture and forestry that the cumulative effect has significantly impeded the way of life for members of the nation, thereby violating their rights under Treaty 6. …The application argues… the Crown is constitutionally obliged to “assess and manage cumulative impacts” on treaty land. Canada’s strained rail network is damaging Alberta’s forest industry. After a winter of delayed shipments, high storage and trucking costs, and difficulty getting our products to customers, we need real action to improve the situation. Rail service is having a real impact on our ability to export. During the first quarter of 2018, Alberta’s shipments of lumber to the United States fell 22 per cent. …. Still, mills are having a tough time getting their products to customers, and it’s taking a bite out of exports. The Alberta Forest Products Association has done an informal poll of forest companies, asking, “What percentage of rail cars you ordered this winter arrived on time?” Only one of the companies surveyed got more than half of its cars on time. All other mills were under 50 per cent, with the worst-off mill only getting 14 per cent of the rail cars it ordered. U.S. President Donald Trump may have promised to drain the swamp in Washington, but New Brunswick Premier Brian Gallant is having to wade into the muck as he tries to get some trade relief on softwood lumber. Gallant’s latest foray to the American capital included meetings with many officials who have received campaign donations from David Wilkins, the New Brunswick government’s $40,000-per-month lobbyist. They include Mike Mulvaney, the Trump administration’s director of the Office of Management and Budget, who bragged last week that as a Republican congressman, he only met with lobbyists who donated to his campaigns. …Wilkins, hired by New Brunswick last year to persuade the U.S. to lift softwood lumber tariffs, is a lobbyist who gave Mulvaney money. HALIFAX — Nova Scotia’s environment minister has released new details of the long-awaited cleanup of Boat Harbour, calling the toxic lagoon one of the worst examples of environmental racism in the province and possibly the country. 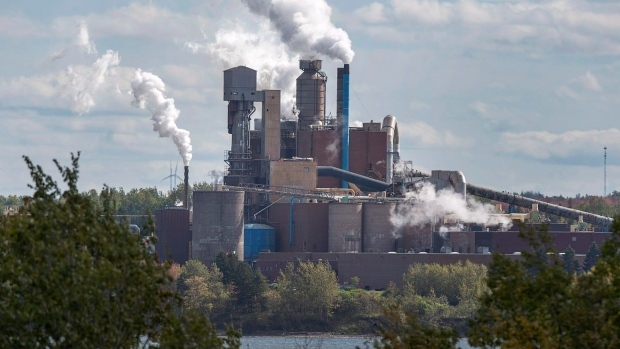 Iain Rankin said Friday the cleanup of the Northern Pulp mill’s wastewater site, on the edge of a First Nations reserve, will be Nova Scotia’s biggest industrial remediation since the Sydney Tar Ponds. “I don’t think we can overstate the importance of this project,” he said. “There are a lot of unknowns in terms of what contaminants have been in there.” … The Nova Scotia government has committed to closing Boat Harbour by 2020 and restoring the waterway to a pristine tidal estuary. Seattle—US softwood lumber demand is expected to continue its upward trajectory from the lows of the global financial crisis of 2008-2009, reaching an all-time high by mid 2020s, according to a newly released US Lumber Outlook Study by ForestEdge LLC and Wood Resources International LLC. In the study’s base case scenario, lumber consumption in the end-use category “Non-Residential Construction” is forecasted to grow the fastest and increase its share of softwood lumber consumption from 11% in 2016 to 14% by 2030. However, the biggest end-use market will continue to be the residential housing sector, including repair and remodeling, at a total share of about 70% of the total lumber consumption by 2030. 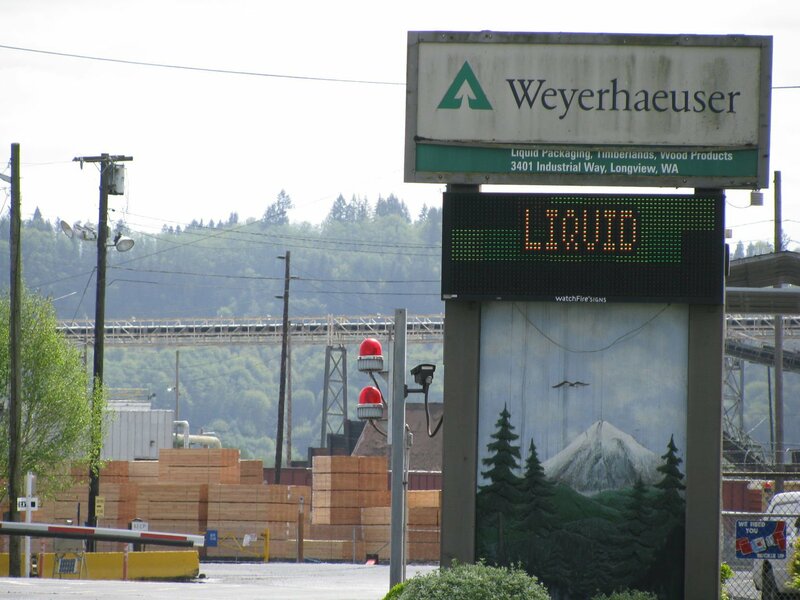 A healthy national housing market buoyed Weyerhaeuser Co. to lofty first-quarter profits, the company reported Friday.Net earnings increased to $275 million, up from $167 million during the same period last year. Net sales were $1.9 billion, nearly $200 million more than the first quarter of 2017.Strong lumber prices drove solid demand for logs, the company said. Weyerhauser’s western timberlands delivered $165 million in earnings — $32 million more than the first quarter of last year. The results are welcome news for the local economy, given that the company still employs several hundred workers here at its at its Longview sawmill and log dock, and within its timber operations.“The housing market continues to grow at a healthy rate,” CEO Doyle Simons told investors Friday on an earnings call. Earlier this month, news came out that 50 Tampa Bay Times employees would face a fate typically reserved for factory workers and steel mill operators: Losing their jobs in a trade dispute. Tariffs the United States imposed on softwood lumber from Canada had raised the paper’s newsprint costs by some $3 million a year, the publisher said, and the business’ already thin margins couldn’t absorb that. Normally, when a job is outsourced or terminated as a result of import competition, workers get some extra help. …But the 56-year-old program doesn’t cover people who lose jobs in later phases of trade disputes. The essential requirement for eligibility is that the job was lost to “foreign competition.” Jobs lost due to tariffs actually levied by the United States — which can raise domestic prices and provoke retaliatory measures from abroad — don’t qualify. HÀ NỘI – Việt Nam can reach its export value target of US$9 billion for forestry products this year through the export of wooden products, said an expert. 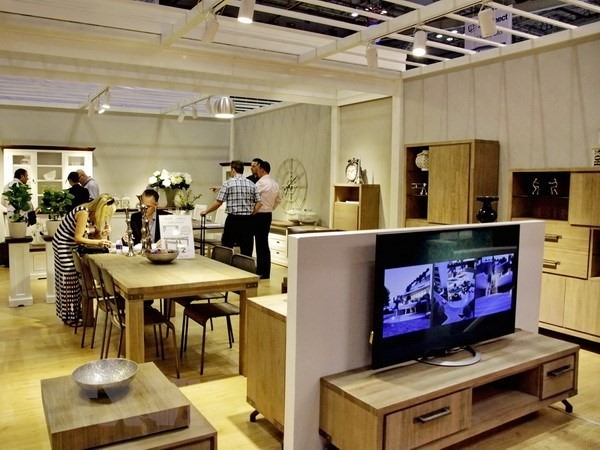 Việt Nam’s exports account for just 6 per cent of the global timber and wooden furniture market, which is estimated at $120 billion, said Phạm Hồng Lượng, head of the Planning and Finance Department, operating under the Ministry of Agriculture and Rural Development’s Việt Nam Administration of Forestry. Việt Nam holds huge potential for wood processing and production, according to Lượng. The nation has nearly 4,000 timber processing firms, including 1,500 companies specialising in producing wooden products for export. Fergal Leamy, CEO of Coillte, believes the Irish forestry industry could be worth nearly €5 billion in the next ten years. This may be so but the Coillte Chief Executive says that the country as a whole is slow on the uptake of the sector’s potential despite the fact Ireland has faster tree growth than most EU rival countries in the field. Forestation and afforestation rates in Ireland are currently well below the European average. Around 11% of Ireland’s land mass is forested. The EU average stands at 38%. 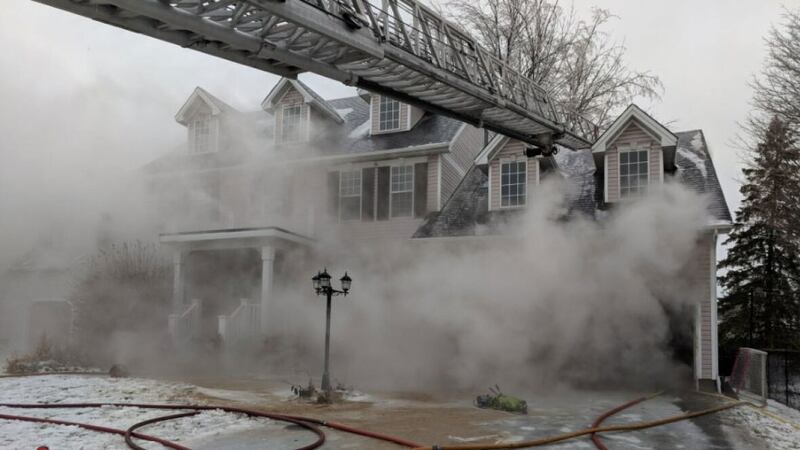 As the Ontario Fire Marshal’s office investigates the cause of a Stittsville house fire in mid-April that left two firefighters with significant injuries, questions remain. Could the injuries — caused by the firefighters falling through the home’s floor — have been prevented? Was there something about the building materials that made the fire’s progress unpredictable? …What we see with modern residential construction is that we’ve introduced light-weight trusses, silent floors, these pre-engineered floor systems. What they are is one-inch-by-one-inch dimensional lumber. Whereas before, what you had was a solid two-by-10 that would hold up the floors. Well, what science is showing us, from (National Research Council) testing, is that these floors burn through in as little as six minutes from direct exposure to a fire. And that’s about the same time that our firefighters are actually getting set to go in and try to put these fires out. 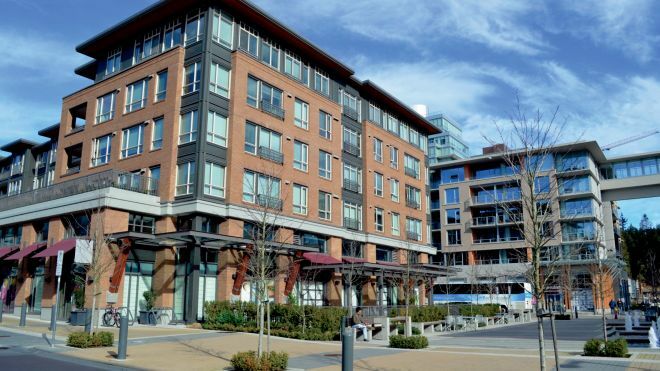 A bill that would allow the construction of wood-frame buildings up to 14 storeys has passed its next hurdle in the provincial Legislature. Bill 19, The Ontario Forestry Revitalization Act (14-Storey Wood Buildings), 2018, received all-party support during its second reading on April 26. If approved, the Ontario Building Code would be amended to allow the construction of wood-frame buildings up to 14 storeys. Current law only allows for wood-frame buildings up to six storeys. he bill has now been referred to a committee, and a report will come back to the Legislature for review before it can move to third reading. … Fedeli said if it’s approved, the bill would pave the way for projects that are currently in the works, including a 14-storey building proposed by the University of Toronto and a 12-storey building being planned by George Brown College in Toronto. A group dedicated to preserving the wilderness behind Youbou has scheduled a May 9 meeting and encourages members of the community to attend. The organizers of the Save Our Holmes group have booked the Youbou town hall for 6 p.m. that Wednesday evening and thus far have a panel of speakers from local and national environmental organizations lined up to talk about forestry in the region and what can be done to preserve nature. Included in that list are representatives from the Vancouver Island Water Watch Coalition, the Youbou Timberless Society, the Sierra Club, the Ancient Forest Alliance and more. …“We all want… a moratorium on logging behind Youbou here and hopefully down the road we can have a society and try to do set up a campaign to save the mountain for future generations for the residents,” she said. The BC Forest Discovery Centre’s $1.3 million Forests Forever project is getting a $400,000 boost from the Island Coastal Economic Trust. Aimed at injecting new life into the Centre, Forests Forever will make it the premier tourism destination on the B.C. Coast to learn about forestry — past, present and future, say proponents. The Centre originally announced the project in October 2017 and has been pulling in donations from all over since then. Western Forest Products has donated $250K, TimberWest has put in $150K, and the Truck Loggers Association has stepped up with $75K already, bringing the total in hand to $975K. There’s plenty of excitement about the new display, too. 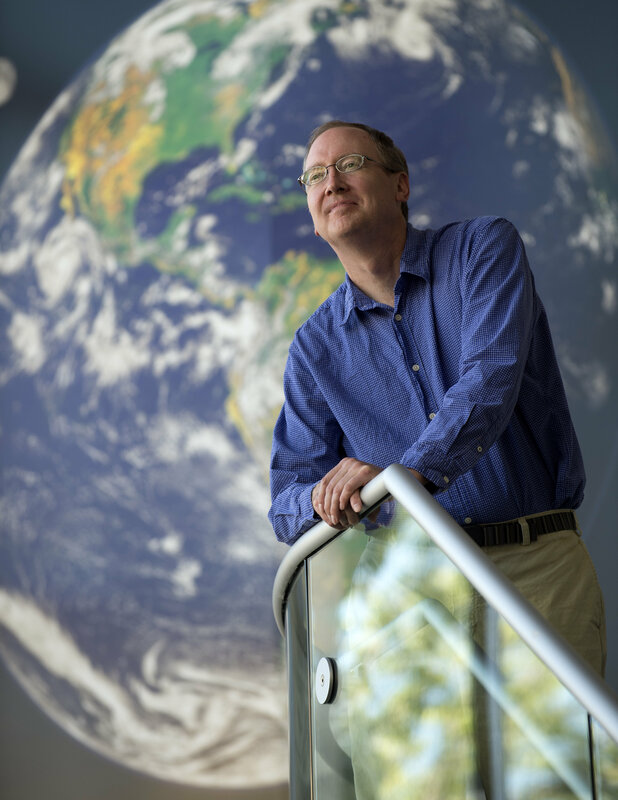 …“The advances in technology over the past few decades have transformed many aspects of the forest sector and are creating new opportunities for the future,” said Chris Gale, the centre’s executive director. More than 500 homes are under threat from the rapidly expanding Tinder Fire in Arizona, which exploded from 500 to 8,000 acres in the span of a few hours on Sunday. 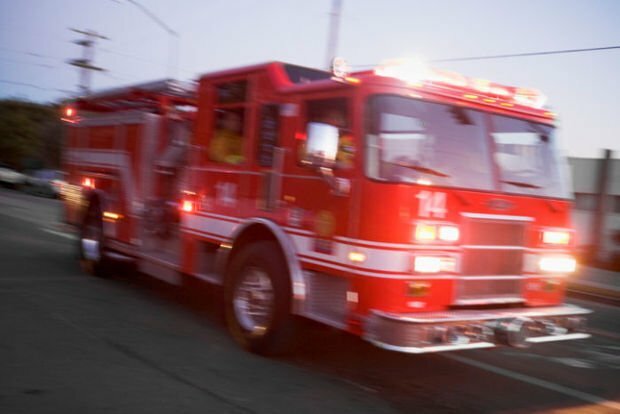 The wind-driven blaze, which originated on April 27 about 1.5 miles northeast of the Blue Ridge Reservoir in Coconino County, has triggered a number of evacuations and road closures in nearby local communities, according to InciWeb. All communities north, east and west of Highway 87 were ordered to evacuate, according to the Coconino County Sheriff’s Office. …High winds contributing to the fire’s growth will likely continue to exacerbate containment efforts for the more than 500 personnel working to contain the blaze. …Because the wind direction will remain rather steady over the next few days, this will not be the worst-case scenario, as fire spread should be more predictable than it would be with changing wind directions, according to Duffey. A 200-acre wildfire sprang from a prescribed burn southeast of Helena Friday afternoon. The fire began burning three miles east of east Helena, just north of Highway 12, as a prescribed burn shot quickly out of control after the wind changed direction. Bob Drake, Tri-Lakes fire chief, said it was actually two different fires but that the teams “got it caught” as of Friday at 4 p.m.”The wind came up from an odd direction,” Drake said. Drake was unsure how many firefighters had responded to the scene as they were “still streaming in.”The fire was on private land. Prescribed burns are common in the late spring when vegetation is still dry enough to burn but there is enough moisture to make them controllable. ALBANY, N.Y. — New York state is celebrating Arbor Day in a big way, releasing $2.2 million in grants for tree planting and community forestry projects across the state. ..The money will come from the state’s Environmental Protection Fund. National Arbor Day is celebrated on the last Friday in April. It was established in 1872 to encourage farmers and homesteaders to plant trees to provide shade, shelter, food, fuel and beauty to open areas. Gov. Andrew Cuomo announced the latest grants on Friday at a tree-planting event in Albany. Climate change is set to intensify summer droughts and increase forest fire frequency, with drastic consequences for unique bioregions of northern California and southwestern Oregon. Harvard University ecologists zoomed in on a region called the Klamath, a pocket of the Pacific Northwest. It’s one of the most biophysically complex areas in North America and a huge carbon sink. There are 29 species of conifers and various rare plants that grow only here in the entire world. 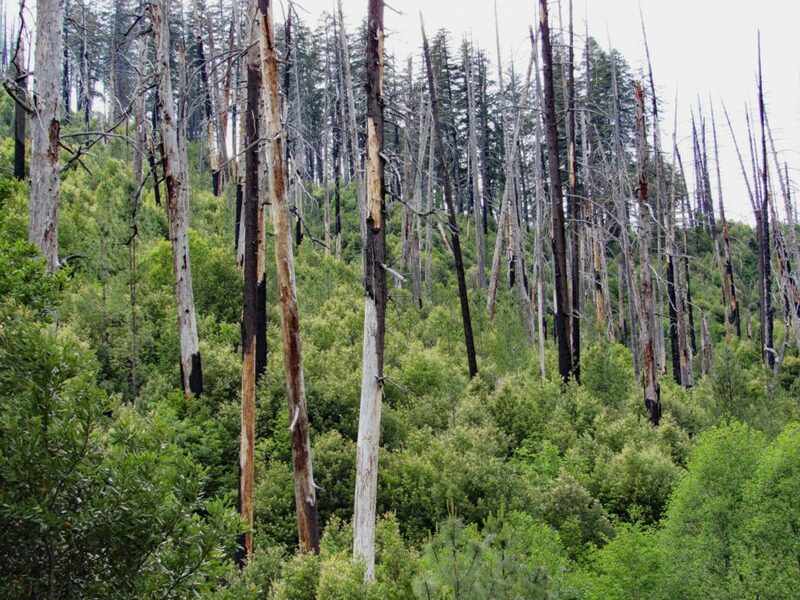 These sort of forests are well-adapted to wildfire but even the most resilient species may find it difficult to recover in the face of abrupt climate change. …Climate change will increase the intensity and frequency of wildfires in the region, allowing shrubs to prosper, which are able to quickly regenerate. In the process of repeated high severity fires, the shrubs squeeze out the conifers. “This is often referred to as a shrub trap”, Jonathan R Thompson said. Fire is becoming the major focus for this coming summer. …Forest fire smoke is extremely serious and it’s deadly. Just remember back to last summer when we endured seven continuous weeks of smoke. That has been compared to the equivalent of smoking a pack of cigarettes a day for 50 or more days. …new research is indicating that such smoke exposure is much more harmful than originally thought. One study estimates that those tiny particles “degrade health and contribute to thousands of deaths each year in the U.S. alone by causing respiratory, cardiovascular and other health problems.” …We need to change the whole philosophy of the Forest Service regarding fighting fires. Unfortunately its planning doesn’t include any consideration for smoke and its health implications. That needs to change. …Also, we need to start thinning and managing the forests now. 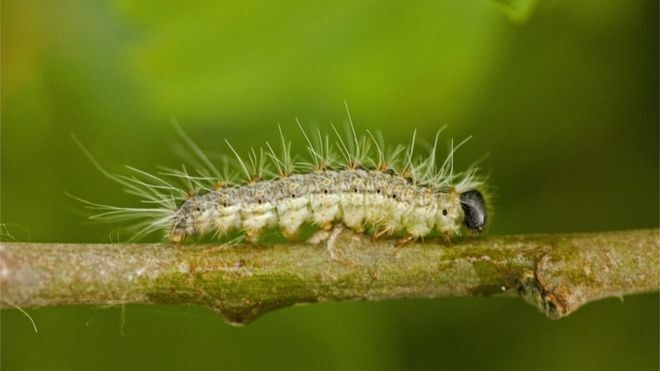 An outbreak of toxic caterpillars that can cause asthma attacks, vomiting and skin rashes has descended on London, officials have warned. Oak processionary moths (OPM), which are in their larval stage, have been spotted across the south-east of England and in the capital. Hairs on the caterpillars can cause fevers and eye and throat irritations, the Forestry Commission said. The organisation has issued a caution not to touch the species. …As a caterpillar, each OPM has about 62,000 hairs, which they can eject. Hairs that fall to the ground can be active for up to five years. The moths only live for two to three days in July or August. It is thought that the moths were brought into the UK on trees imported from Europe for a landscape project.